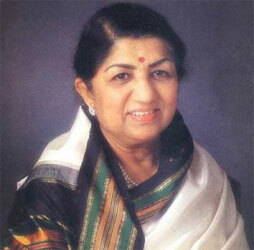 Legendary singer Lata Mangeshkar said that Singh's death was a big loss for the music industry. "I knew him well. I hoped he would come out of the coma. But the God willed otherwise." Asha Bhosale said hearing Jagjit's ghazals brought peace to the mind. "Listening to him was a soothing experience. If one wanted to get away from everyday stress, the best way was to play a Jagjit Singh record." Asha described Sarakti Jaye Hai Rukh Se Nakab Ahista.. as her favourite Jagjit ghazal. "I feel sad for his wife Chitra. She lost a son earlier, and now husband. She is very lonely now," Asha said. "Jagjit Singh's death has caused an irreparable loss to the Hindi film and music industry," said noted lyricist Javed Akhtar. 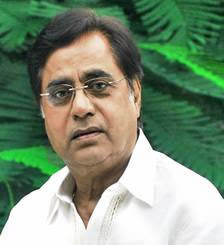 He described Jagjit Singh as an extraordinary ghazal singer. "I first heard him when I attended an event at IIT Kanpur named 'Music Night by Jagjit and Chitra' while in school. He was an icon. There is nothing I can say to console his wife (Chitra). All I can say is that he will never be forgotten. I pray to god to give her the strength to recover from the loss," classical vocalist Shubha Mudgal said. An emotional Usha Uttup recalled her time with Singh. "I can't believe it. It was because of him that ordinary men could enjoy good Ghazal. We worked together in a jingle when I was just staring my career. "He is the person who introduced the 12 string guitar and the bass guitar in ghazal singing, in a way no one could. I spoke to him recently. What a human being. It is a great loss."